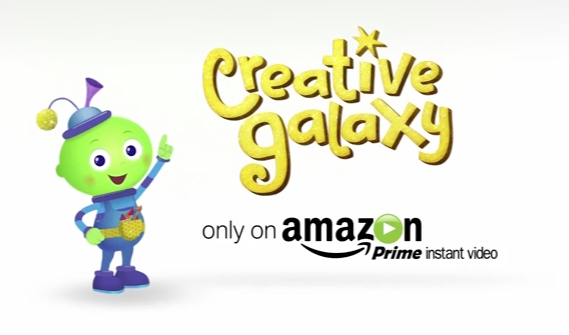 After a successful first season of programming, Amazon Studios has agreed to green light a second season for four of their original children’s series: Creative Galaxy, Annedroids, Gortimer Gibbon’s Life on Normal Street, and Tumble Leaf. Congratulations to all of the production teams involved with these uniquely smart programs. 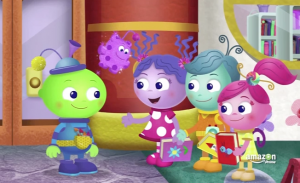 In an effort to strengthen and foster a love of the arts among the preschool set, we launched our Season I of Creative Galaxy on June 27th, 2014. Some incredibly talented actors lent their voices to the show, such as Samantha Bee, Jason Jones, Cloris Leachman, Jason Priestley and Brooke Shields. But I honestly couldn’t have imagined the quick support Creative Galaxy has received in such a short amount of time! If you haven’t checked out Creative Galaxy, may I ask why? 😉 It follows the adventures of Arty, an alien artist who soars to colorful planets of inspiration to teach children about art & culture and includes iconic artwork by painters such as Jackson Pollock and Georges Seurat. Thank you to everyone that’s tuned in and left such incredible feedback over at Amazon Studios and here on Angela’s Clues. My team at Out Of The Blue Enterprises (and beyond) works tirelessly to bring quality media to kids. Simply stated..we appreciate your smart media diet. Any news on Sara Solves It? My daughter keeps asking for it! Can we get a hint on when season 2 will be released? 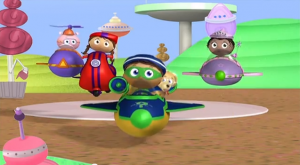 My 4 year old daughter absolutely loves this show. However we have to “make” sandwich art every time we watch that episode, and I’d love to have some new episodes to distract her with. I’m a very good sharer 🙂 We’ve got a whole bunch of Creative Galaxy episodes about to burst (albeit “creatively”) out of their server! Once I get the specific, locked-in date, I’ll be sure to share the info with everyone. Thanks for asking & in the meantime, I’d love to see some sandwich art photos!! 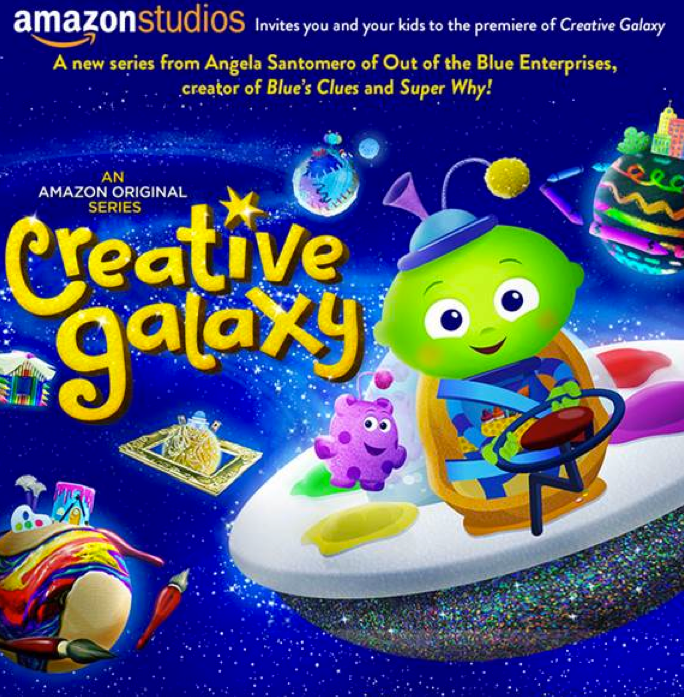 My grandkids aged 2-9 love Creative Galaxy. Last night they had the floor covered with craft items making puppets and flower gardens along with Arty. Can’t wait for Season II. I was so happy to read on this site that a Season II is being created now. 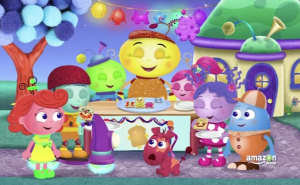 Thanks for fostering creativity, art, problem solving and great characters. Another success for children’s programming. Are we any closer to season two? My little artists are chomping at the creative bit. Thanks! This show is fabulous. I’m so sorry to make you wait, but we’re almost there!! Stay tuned! Do we know when season 2 of creative galaxy will start? My kids ask me to check on amazon about once a week. When it’s official, I promise I’ll put it out there. But not much longer. Thaanks for your mssg Chris!